香港新浪對 Xplore m68 的介紹, 看來內容應該出自 PConline, 有不少新資訊喔! 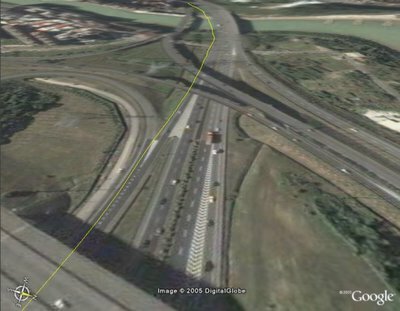 Cetus GPS 畫航跡的功能還沒完成, 但是紀錄的 track 已經可以描在 Google Earth 上了. 線上查 Metro 資料, 蠻不錯的... 咦, 中文沒人在維護了嗎? PalmAddicts: Palm Gaming - are we Losing on yet another front? Palm 上的 game 比 PPC 少嗎? 我不太清楚, 看看這位女士的觀點吧! From PIL, by 秋天裡的愛情... 真是蠻神奇的! 原來 beta 版本在此, 早就有了, 目前是 1.2b8 版, 趕快來玩! 紅外線圖文交談.. 咦, 不是應該用 BT 比較上道嗎? 又是個讓人看不懂的新聞, 說 GSPDA 2006 年將推出 SavaJe OS 之智能手機, 但是卻放 m68 的圖, 規格看來也像 m68, 沒弄錯吧? 看看規格, 不錯啊! 對一隻內建 GPS 的 PDA 而言..
Windows XP + Windows Mobile, 真是令人不解, 怎會想出這樣的玩意來? 由 1src 整理, 每 15 分鐘更新一次的 palm RSS news, 棒! * Bug fixed: "Share Button" can fail, if some filenames on the handheld start with a space. * Bug fixed: Lock after hotsync, if you wait until power-off and start up again with the WatchM buttom. * Bug fixed: Canceling a running timer did not work. * Friendlier landing if you try to start WatchM on a low-resolution device. 應該還沒太多人知道, PalmCommander, Button Launcher, Program Zipper 停止開發, 原始碼待售, 三個程式現在都提供免費下載... 不知道該高興還是難過? PalmAddicts 上看到的... 粉色 GPS 接收器, wow 太酷了! grack.com: Treo 650 Boots Linux! From Mobile01, by 酷波, 寫的不錯啊! From PIL, by 小酒蟲, 可以開始惡搞 Treo650 的 ROM 了嗎? 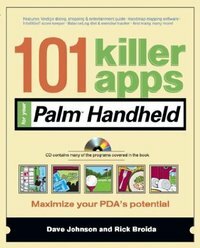 Palm 殺手級軟體專書, 想也知道多是功能強悍的 shareware 吧! 把 TX 加上振動... 想動 TX 腦筋的人不少啊! * Map page for viewing tracks and positions. 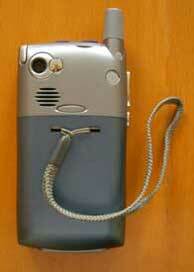 * Wireless features using an open standard protocol defined for location based communication. 提到 9 個 Palm 上的 RSS reader, 其中 Bloglines我一直在用, FreeBurner 看來也值得一試!